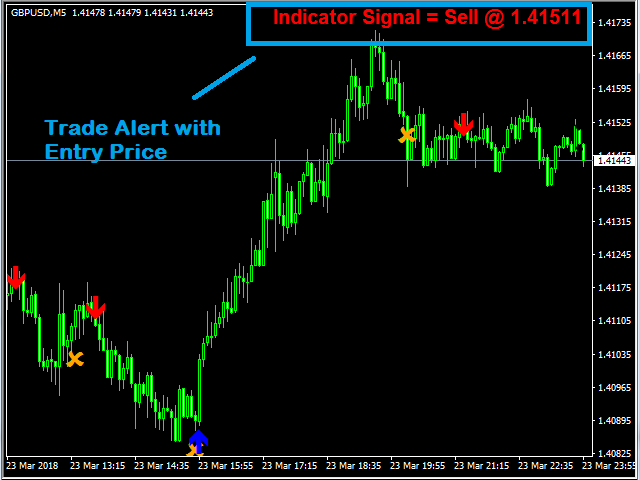 A SCALPING INDICATOR WITH CLEAR TRADING ALERTS. 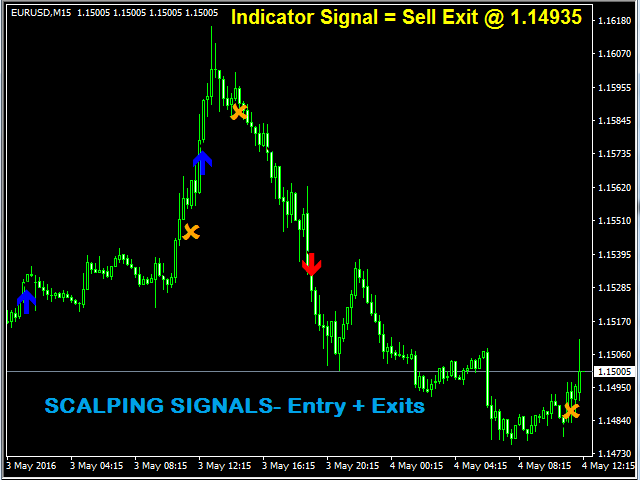 A simple system with clear signals for entries and exits. 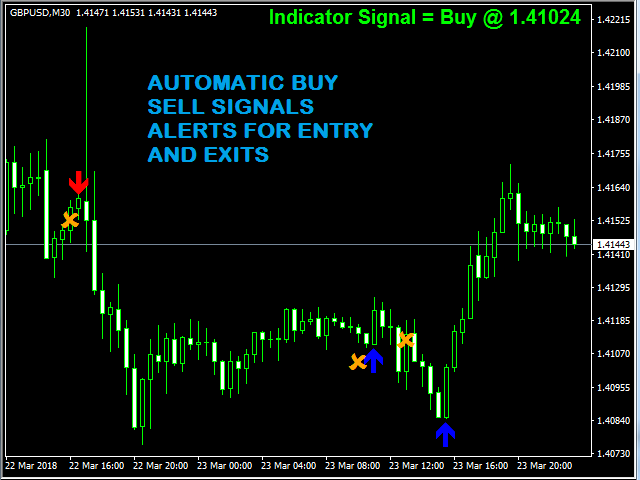 The indicator is a simple yet effective Auto BUY SELL SIGNALS ALERT generating tool. It can adapt to any timeframe - M1 to Monthly. The entries come clearly with text display alert and pop-up sound alert. The exits also come clearly with text display and pop-up sound alert. 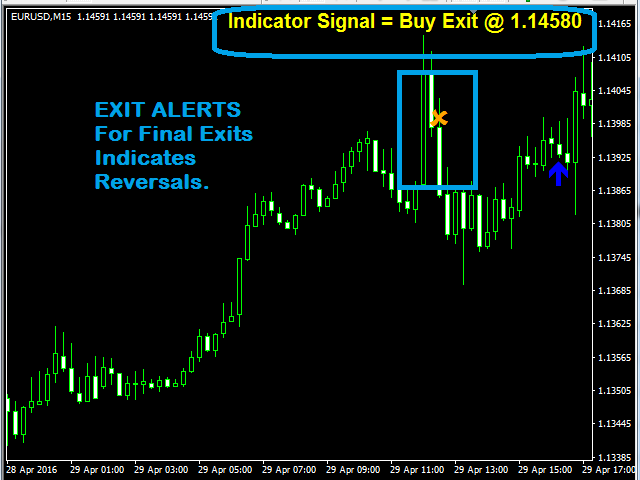 The indicator tries to gain from the big moves and exits only at the proper trend exhaustion while providing safe EXIT ALERTS when the direction is not favorable. If you can patiently trade all the trades coming on the charts with the prompt exits where the EXIT ALERT COMES, then all the large moves are captured. 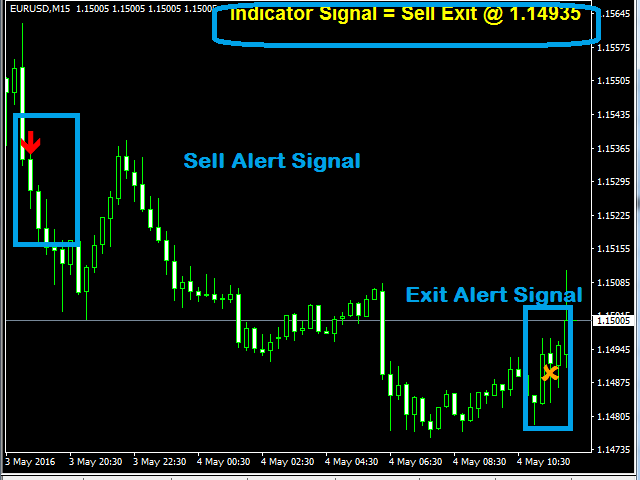 The signals are very adjustable as per the trading style. Making the signals more or less is the choice of a trader. It also gives good RE-ENTRY SIGNALS, when the trend keeps moving in one direction. So it will make you enter and exit multiple times in the same direction instead of giving opposite direction trades in the weak direction. 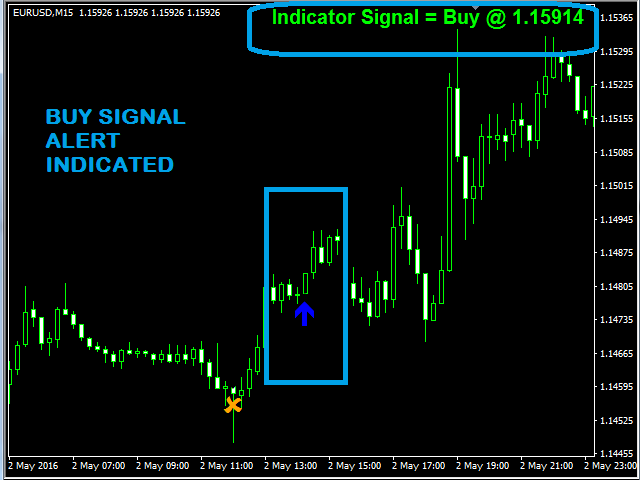 period = 55 - increase/decrease frequency of signals (less is more signals and higher is lesser trades). option = 0 - standard setting at 0 by default (generate early signals). 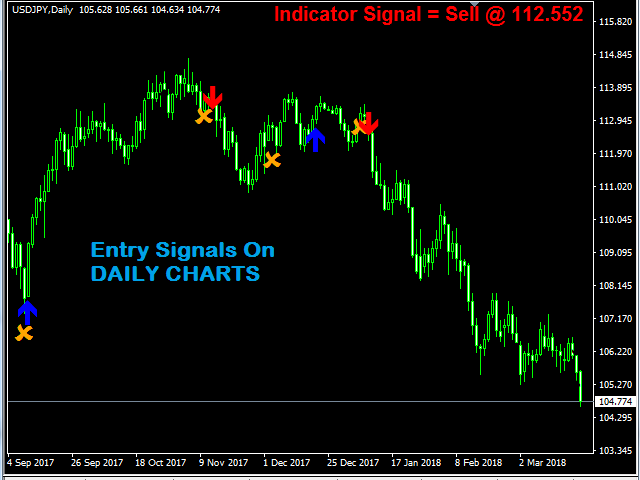 Changing to 1 will delay the appearance of signals as it will check for high and low swings to be broken as confirmation. 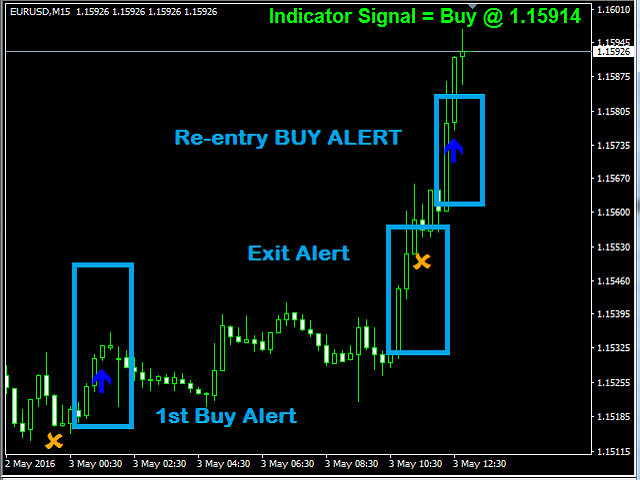 SoundAlert = TRUE - enable the POP-UP ALERTS OF THE ENTRY SIGNALS. Level1=0.65 - UPPER level affecting BUY SIGNALS (optimized on 0.55 to 0.75). It is also slightly affecting the frequency of signals. Level2=-0.65 - LOWER level affecting SELL SIGNALS (optimized on MINUS 0.55 to MINUS 0.75). It is also slightly affecting the frequency of signals. In case of the most recent signal, upon close of terminal, it would possibly recalculate at times, but the past ones are in place and further this happens only upon the rebooting of MT4/Toggle etc But till the time you are on live charts and it's not closed/toggled there would be no shifting or recalculating . Run one chart in real time and compare it with a chart of the same pair loaded from historical data. You will see that this indicator doesn't just repaint, it sees into the future when it is using historical data. It seems to be profitable as you look back through the chart but it loses terribly when you try to make the trades in real time. This seller is not honest. I would like my $55.00 back.